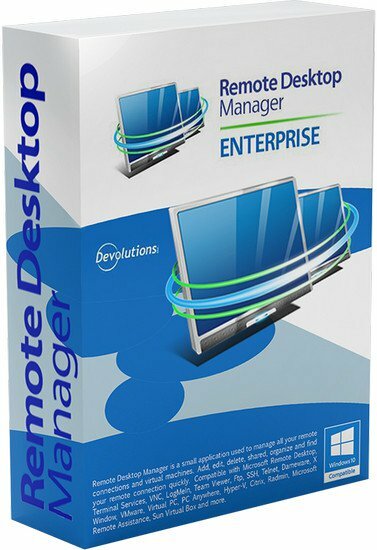 Remote Desktop Manager is an application designed to manage all of your connections and credentials. Remote Desktop Manager acts like a wrapper and a manager around existing technologies, and uses no proprietary protocols. All communications are established using either an external library or third party software. Remote Desktop Manager is compatible with many tools and technologies, including: Citrix, Dameware, FTP, Hyper-V, LogMeIn, Microsoft Remote Assistance, Microsoft Remote Desktop, PC Anywhere, Radmin, SSH, Sun Virtual Box, Team Viewer, Telnet, Terminal Services, Virtual PC, VMware, VNC, X Windows, and more! In fact, if it has a command line interface, we can invoke it!